One of CP Soccer's core missions is to establish an ongoing summer soccer camp for kids from across the US. 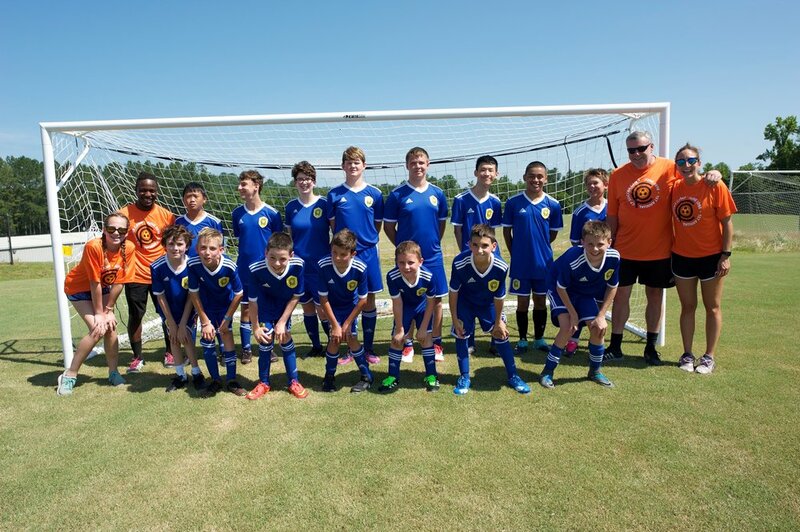 In June 2018, we hosted the first CP Soccer Camp at Clemson University in South Carolina. We will be hosting the camp again from June 22 to 27 in 2019. Like our other CP Soccer program, the camp is open to kids with ambulatory CP, stroke or traumatic brain injury. We will accept kids from 10 years old through high school, with the caveat that they need to be emotionally ready to sleep away from their parents. We have chosen Clemson University to host our camp because Clemson has made a strong commitment to Paralympic soccer at the collegiate level, and is building a program that specifically supports soccer players with CP/ stroke/ TBI. We are proud to partner with Clemson University, and greatly appreciate their support for CP Soccer. CP Soccer Camp provides CP kids with the chance to both experience serious soccer training and enjoy the company of other kids like themselves. We include non-soccer activities, but soccer is the main focus. Some kids are already playing at a competitive level, while others may be completely new to the sport, and we have developed a curriculum that keeps everyone engaged, challenged and happy. Ultimately, we want everyone to have fun. Campers sleep in dorms, eat in the campus dining hall and play on University fields. There is adult supervision by staff who have been vetted and trained to work with CP kids. Parents are not be allowed to stay in the dorms, but there are many hotels nearby. The University dining facilities are able to accommodate special diet requirements, and there are multiple hospitals nearby in case of emergency. We anticipate 30 to 40 campers for our second summer session. If we experience more demand than anticipated, we will work with Clemson to accommodate more campers. Tuition for CP Soccer Camp is $750 per kid. This is the pass-through cost of all services, and includes a CP Soccer Uniform. Because we want all kids who qualify to be able to attend, we are raising funds to offer subsidies for families who need some financial support. Click here to apply for financial support. If you are interested in learning more or have specific questions, please contact us via this form. You can also ask questions of parents whose kids have attended camp by engaging with our parent Facebook Group here. If you are ready to sign up, please reserve your spot below.